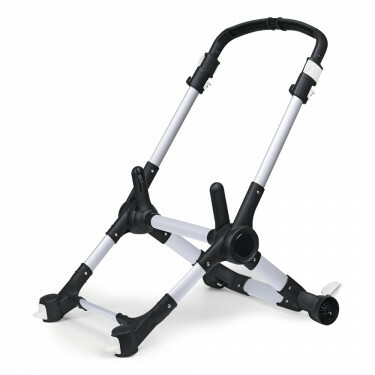 Original Bugaboo chassis (without wheels) suitable for the Bugaboo Buffalo and Buffalo+. Finished with the leatherlook handle bar that was introduced with the Bugaboo Buffalo+, introduced in October 2016. Can be used with all Bugaboo Buffalo's. Suitable for the Bugaboo Buffalo only. Seat- or bassinet fabrics, seat frame and wheels not included.